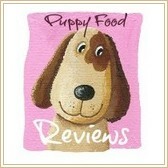 Is canned puppy food a good choice for your puppy? A simple question, with a not-so-simple answer. 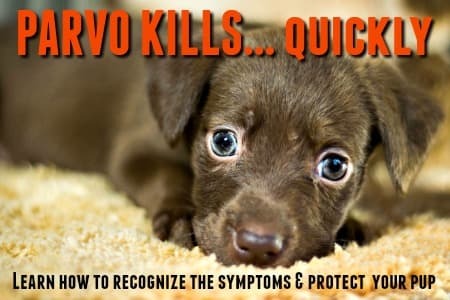 There are several different things to consider before choosing a food for little Fido including his size/age/breed and the ingredients, quality and form that food takes. Canned (aka wet) food can be a good choice for some pets.... especially young puppies, tiny breeds, older dogs, and those with certain health conditions. 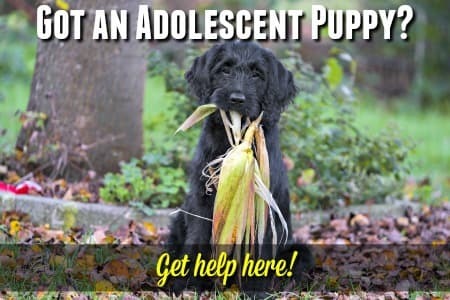 But if you want to feed your puppy a canned diet, there are a few things you need to know in order to pick a premium wet food with the right balance of nutrition. As with the dry kibble, the most important thing you need to consider are the quality and type of ingredients that are providing his nutrition. The AAFCO (The Association of American Feed Control Officials) lay down guidelines for dog food manufacturers to follow, and one of them is that every dog or puppy food must meet some minimum levels of all the basic nutrient components (ie protein, fiber, fat & moisture). On my Best Puppy Food Choices page (this link will open in a new window) you can see which ingredients are the ones you want to see, and the ones that you don't. It also has information on the recommendations for percentage value of each component. The percentage ratios/figures on the page I mentioned above are for DRY PUPPY FOOD, but you'll need to make an adjustment for canned puppy food. 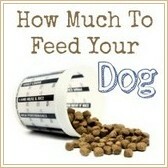 This is because it usually contains between 75% and 80% water (while dry food only contains about 10% water). So, in order to compare 'apples to apples', you want to be comparing the ingredients without the moisture. Find the % given for moisture and subtract it from 100. This gives you the basic 'dry weight' to start from. Find the % figure given on the can/bag for each component individually, and divide it by the 'dry-weight' percentage, then multiply by 100. This gives you the true % figure. Take the 10 (%) protein figure and divide it by 22, which gives you .45, and multiply that by 100, which equals 45.45... which is 45.45% - that's the percentage of protein in this food. 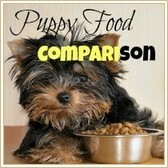 You can do this for each ingredient and then you can compare that to dry puppy food to see the differences between them. Overall puppy or dog food that is canned generally contains a higher percentage of protein than the dry variety, and a lower percentage of carbohydrates. This makes it a not-so-great choice for large or giant breed puppies who need a below-average and strictly controlled amount of protein (a recommended maximum of around 25%) to prevent potential bone/joint problems caused by too-rapid growth. Sometimes you can strike a 'happy medium' by feeding both dry puppy kibble and wet puppy food, mixed together. If you have a 'picky eater' or a small breed puppy who needs a bit more protein, this may be a good solution. But try to stick to a ratio of 25% canned food to 75% dry, or at the most a 30:70 split.